St. Martin's Press, 9780312380991, 320pp. When his mother-in-law died suddenly and his seriously ill father-in-law was left with no one to care for him, the author and his wife were thrust into the complex and overwhelming world of long-term care. Just months later his own father fell sick, and the couple struggled to help care for him too—from 1000 miles away. Over the next year-and-a-half, this ordinary family faced one crisis after another, as each day brought new struggle and pain, but also surprising rewards. They were among the 44 million Americans who are caring for elderly parents or relatives or friends with disabilities. Someone you love will almost certainly need long-term care services before they die. Nearly 70 percent of our parents will receive such help sometime during their old age—usually at home, though often in a nursing home. It will last for an average of three years, though one in five will need this assistance for five years or more. 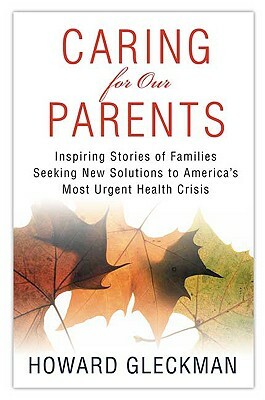 This book tells the sometimes painful, sometimes uplifting, and always compelling stories of the families who struggle every day with the care needs of their loved ones. The costs are crushing: and the weight of 77 million aging Baby Boomers will devastate our nation’s already fragile system for funding this critical day-to-day assistance. How can we repair the tattered safety net that is so essential to our aged and disabled? HOWARD GLECKMAN is a veteran journalist who has covered economic and fiscal policy, personal finance, and health care for 30 years. He was a senior correspondent in the Washington bureau of "Business Week, " a Media Fellow at the Henry J. Kaiser Family Foundation, and a visiting fellow at the Center on Retirement Research at Boston College. He is currently a senior researcher at The Urban Institute.